Voici une interview d’Ivan Passer (en anglais) réalisée lors du Festival de Fribourg et également publiée (dans une forme légèrement différente) dans le dernier numéro de l’excellente revue canadienne Cinema Scope de notre ami et collègue Mark Peranson. If 70s American cinema was part of the questioning of classical Hollywood values, myths and narrative structures, then Cutter’s Way was the final swansong of that era of doubt. It would be hard to be darker, more desperate or pessimistic than Ivan Passer’s Cutter’s Way, made ten years after the Czech director’s stunning American debut with Born to Win, an all too often overlooked masterpiece that remains the most sensitive, realistic and harsh films on drugs ever made. For the carte blanche offered by Fribourg Festival, we chose to show the brilliant Cutter’s Way. 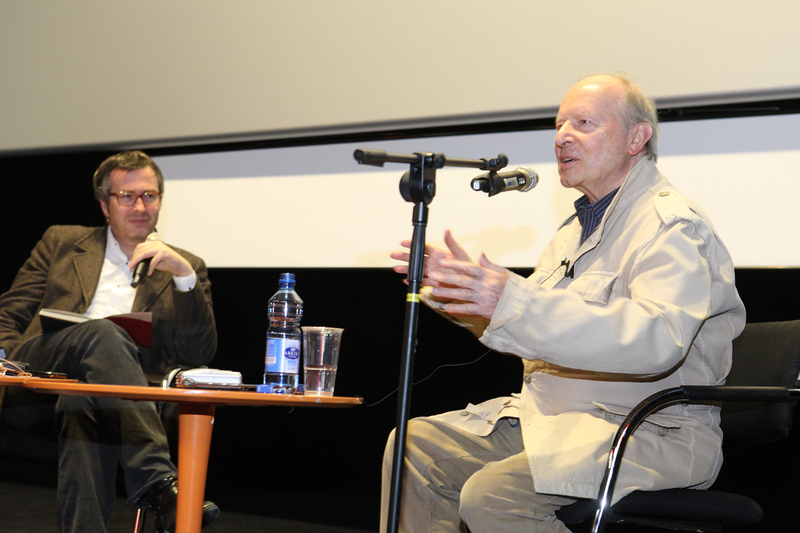 Ivan Passer came to introduce the film and we had the opportunity to discuss it at length with the audience. Ivan Passer is a delightful man and a fascinating filmmaker whose immense moral and artistic integrity must have proved an obstacle to a successful Hollywood career, but which nonetheless resulted in a handful of brilliant films, rare and invaluable in contemporary cinema. The encounter transcribes here was a chance to go back over his exceptional experiences, and the early phase of Passer’s career, the exciting Czech beginnings alongside his childhood friend Milos Forman up until the American masterpiece that is Cutter’s Way, the high point of a filmography that subsequently took a much lower profile, (numerous TV movies and some chaotic theatrical films) but which one day we should make the time to find and re-evaluate. When I was thirteen years old (in 1946), in Poděbrady, a small town about twenty kilometers east of Prague, there was a boarding school, which was founded by the wife of Baden-Powell, the creator of the Boys Scouts. There were two kinds of kids there: one group was children who had lost their parents during the war, e.g. Milos Forman, the other group was kids of parents who didn’t know what to do with their children, and that was me. I still remember when I first saw Milos I didn’t like him very much because he always won in every competition. One day we were waiting on a court, the boarding school was in an old castle, and somebody came up with a silly idea to hold our caps with our heads against the walls. And I decided that Milos was not going to win this time. We were there for hours, everybody left and there were just he and I talking together and holding these caps. I don’t remember who won but I remember I couldn’t move my head for like three days. My neck was totally frozen. There were these two fanatic film buffs running the Film Archive in Prague. They were using all methods possible including stealing films and making illegal copies. They were making non-stop screenings during the weekends. Thanks to these guys we had the chance to have a film education and see all the movies that were forbidden in Czechoslovakia. The Communist censorship was very stupid. They forbad one of my favorite movies of all time, De Sica and Zavattini’s Miracle in Milan because at the end of the picture they flew from the East to the West! One day, after film school (Milos was four years ahead of me), we got together and said: how in this God-forsaken country could we make some good movies? There was the socialist realistic aesthetic, which came from Russia by a gentleman called Jdanov. The films were boring to begin with and hypocritical. They showed steel workers living in extremely luxurious apartments, build in a studio, it was not true. We took a piece of paper and we wrote down several points, how our movies should go by. And I remember some, like “it should be a comedy” because the Communist Party and the censorship were more tolerant with comedies because according to their slogan you should entertain people. “It should be shot outside of the studio, in the streets” because they would not look over our shoulder that much. “We will use non actors” because we felt that the actors were corrupted and too busy, and because we were very young and we felt that we would not respect us. “We will use natural light.” It was very similar to the Danish Dogma years before that. The beginnings: Konkurs (Audition, 1964) by Milos Forman, written by Milos Forman and Ivan Passer. We wrote another short story about a folk band, Kdyby ty muziky nebyly (If Only They Ain’t Had Them Bands, 1964) and finished the film and to our total surprise the film played even in New York. The first feature: Intimni osvetleni (Intimate lighting, 1965). A subversive and experimental comedy. It was an absolute surprise. I didn’t want to be a director because I had a very good time being a screenwriter. I had no responsibilities. We were always three, Milos, wonderful Jaroslav Papousek and I. It happened by accident like most of the things in my life. One screenwriter called me about a treatment, which the studio didn’t want to do unless he found a director. Several directors rejected it and I was his last chance. I agreed without reading the script. When I read it I realized why the other directors didn’t want to do it. It was a trip on a canoe down to the river with a piano player and his girlfriend. It was not very interesting. But at some point they see somebody fishing, they stop and he recognizes his friend from the conservatory. They studied music together. His friend invites them for lunch in his house. I said “okay, from this scene we are going to make the movie.” And we made the movie; it was a very small story. And because it was so small they let us do everything we wanted to. I personally don’t like very strong stories because it doesn’t give you time to do all these little things which I love in the films, the banalities, moment of emptiness… Intimate Lightningis considered a film about nothing, but in the meantime I hope it is about many things, what are hidden. When we left, the Communist Party banned the film for twenty years, it was scratched out of the books. The Communist Party would even tolerate if the filmmakers argue with them about politics, but they really hated when you ignored them. My film ignored them totally. The film was an international hit. I met a guy who saw Intimate lighting sixty times. When I make a film I like to have an emotional target, I like to imagine what state of mind the audience should leave the theatre with, and in this movie I was hoping they would like to come back because they liked the characters. We visit our relatives, our friends, we know what they are going to say, to do, but we like them. I thought that is how my movie should be, and it did happen. We didn’t have any plans to work outside Czechoslovakia. I had two scripts. I was kicked out of the High school three months before graduation. They called me an “enemy of the people”, I was seventeen years old and they were sending me to a coalmine. I run away and I spend the best year of my youth with gypsies, living in a caravan. I travelled around Czechoslovakia with them and worked in a Luna-Park. One of my scripts was about one weekend with the gypsies. I never had the chance to do it. It was a very tragic and violent love story. The other script was an adaptation of Franz Kafka’s The Castlewritten with Václav Havel. During the invasion of Czechoslovakia by the Soviets tanks I was in England preparing a film for Carlo Ponti. I went back to Prague after the invasion and so did Milos. We didn’t want to leave at first but six months later in January 9, 1969 we left and again accident played a big part. We left around one o’clock in the morning in Milos’ car with one piece of luggage. Milos chose a border crossing to Austria not used very much. There was nobody there, patches of snow. An officer came out of the house with a Kalashnikov and he asked “where are you going?” Milos was driving and I roll down the window answering “we are going to Vienna for the week-end”. I gave him the passports but we didn’t have the yellow piece of paper that was an exit visa they didn’t give to anybody. The officer asked where our exit visas were. I was pretending looking in the luggage back of the car and I hear this kind of dialogue I still don’t believe. 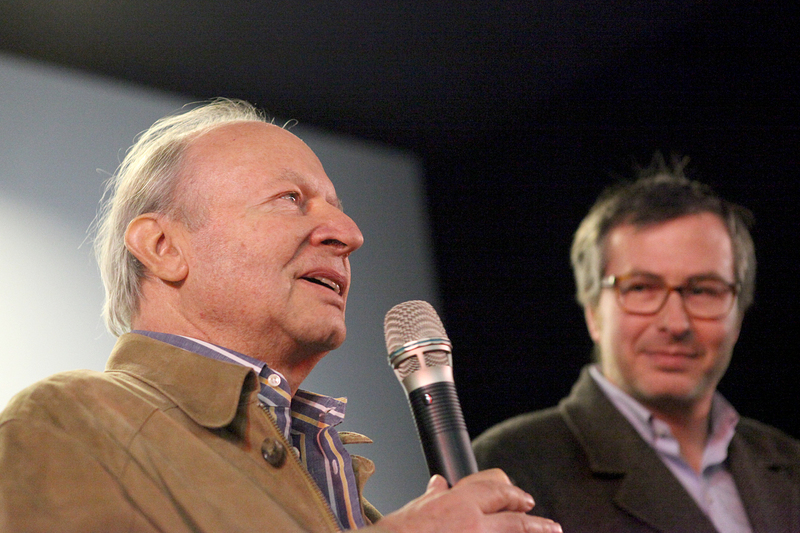 The officer said “are you Milos Forman the film director?” and Milos said “yes”. The officer said “I have seen all your movies” and Milos said “and I bet you didn’t like any of them.” The officer loved and knew all his film by heart. Then he said “don’t look for these exit visas” and he open the gate and he used in Czech a word for “goodbye” that you used only when you know you will never see the person again. He let us go. We didn’t have so much of a plan. We went to Paris where we knew a few people like Claude Berri. Milos had possibilities to make some deal with Paramount for a picture. I was offered a picture in France. But when I heard that the screenwriter wanted to make the movie, I rejected the offer. Milos said to me “you are so stupid, we are here, penniless, and you refused a job! Now come with me to America!” So I did. We arrived in New York. A Czech art director had a house in East Village and he gave it to us, to babysit the house. We had no money. I didn’t go to America to make movies. I felt “why would Americans need a Czech director who doesn’t even speak English?” I was ready to have a manual job. I went to the docks to get a job, eight dollars an hour. One day, six months after we came to America, some Czech friend of mine organized a birthday party with a lot of Czech people and invited me. In a melancholic mood there was an American guy so I went to him and talked to him. His name was David Scott Milton. He was a playwright-novelist and he invited me to the opening of his play, which was off Broadway, three days later. I went there and there were five people in the audience, three of them left after the first part, and after the play we went to have a drink together, he was very depressed. He said he was doing that for fifteen years and couldn’t make a living. I said “did you ever write a film? We could take the characters of your play and write a script.” The play was about a junkie. I didn’t know anything about drugs, so I learned a lot of new things, did research. It interested me because here in the country of freedom – for me who came from a country of restricted freedom – there are these people who voluntary give their freedom away, and are enslaved by drugs. That fascinated me. But we treated it with humor. Basically there are two junkies, one is white, one is black, they are friends, what was unusual at that time, and they hustled together. Nobody paid us for this script. David knew a director of a film theatre who had some connections with United Artists and gave them the script. United Artists had a contract with George Segal and they were obliged to give him three projects a year, so they gave him the script. Segal decided to do it. But I didn’t want George Segal to do it! He was a very difficult actor. The writer begged me on his knees to take George Segal because otherwise the film wouldn’t have been made. I accepted but he was a real prima donna. I gave one of his first parts to Robert De Niro; he is playing an undercover cop in the movie. I saw him on a stage and I liked him. I met another interesting actor I liked very much. His name was Burt Young. I wrote a scene for him. Three years later he became famous with Cinderella Liberty (Mark Rydell, 1973), Chinatown (Roman Polanski, 1974) and of course Rocky (John G. Avildsen, 1976). My next film was Law and Disorder (1974). I met a taxi driver who told me he was part of a vigilante group in Lower Manhattan, trying to protect the neighborhood against crime. I thought it was a great idea for a comedy. 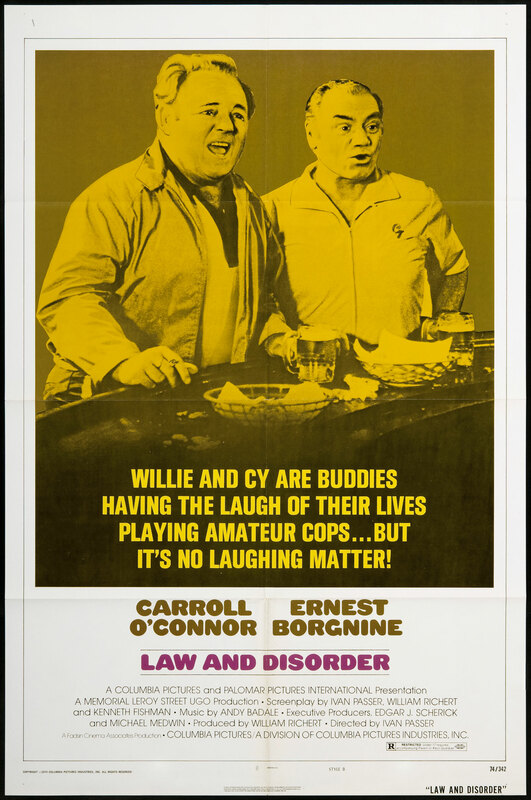 I wrote the script and I made a big mistake: it was almost like a slapstick comedy, Ernest Borgnine was one of the guys, and for some reason I killed Ernie’s character in the film. It was a change of genre inside the film. The audience was laughing all the time, suddenly this guy was killed and the audience was stunned. I learned that you should never do that. I refused to do violent films. I consider it is dangerous. I have seen real violence during WW2. The violence affects some people who are not able to realize the difference between reality and fantasy. So I take myself out of 80% of the American market. I got offers all the time and I rejected them. I was teaching at Sundance and Robert Redford offered me a film about an American Indian that was so violent I refused it. I don’t want to see these movies, how should I make them? I had a project, which was a very Czech script. It was the story of a banker in Brooklyn who has two sons who don’t want to be bankers. Nobody wanted to produce it because it was not expensive enough. I was going from one company to another for three years. So I was totally broke and I got a phone call from Austria. Karen Black who was in my previous films called me up and she said they just fired an American director on the set of a film with Omar Sharif and Claude Chabrol suggested my name to take over. I asked for the script and she said they had to shoot before I had time to read it. I said it was like a blind date and I took it because I was totally broke. With my last money I took a taxi to Kennedy Airport and went to Vienna. Eight people were waiting for me. I went to my hotel room and I read the worst script in my life, based on a James Hadley Chase novel: An Arabic prince chasing an international star… I threw it out the window and I said to the producer it was terrible. He said “do whatever you want but you have to keep the location because I already pay for it.” The crew was half Austrian, half German, and they were waiting for work, I had to keep them busy. With an American screenwriter we had to rewrite the script. And I was supposed to shoot the next day. It was a nightmare. I look into the sky and said “do something, and one day I will make a religious movie” and a miracle happens. There was a blue sky and suddenly a snowstorm arrives, we couldn’t get out of the hotel for three days, it was impossible to shoot, and we took time to rewrite the script. And I kept my word; I did a movie called Creator with Peter O’Toole in 1985, with some religious meaning. Superficially, Cutter’s Way is a modernist contemporary reading of film noir, alongside Robert Altman’s The Long Goodbye and Roman Polanski’s Chinatown: the detective story serving as a pretext to depict a community (here the peaceful and prosperous Santa Barbara in California) and a gallery of picturesque characters on the fringes of society. At a deeper level, Cutter’s Way is a damaging account of a nation that has lost its final illusions in the Vietnam War and of a society eaten away by corruption. Cutter, from a good family, returns from Vietnam crippled (minus an eye, an arm and a leg): he is the American hero reduced to a loud and obnoxious wreck. Cutter is slowly drinking himself to death in city dives, while Bone, the blue-collar guy with the looks of a Greek god, flunkey to the rich by day and gigolo to their wives at night, is unhealthily attached to his best friend: guilt at having stayed at home while his more brilliant friend was blown up by a mine; the guilt of a physically able and attractive man in love with his friend’s wife. Though physically and morally bereft, Cutter is however a kind of oracle, with a lucidity that goes beyond the paranoid conspiracy laid out in the film, denouncing both Western pacifist and anti-racist self-righteousness, as well as the rampant fascism and ruthless capitalism that rides roughshod over all under the Californian sunshine. A last sudden burst of courage and heroism offers the protagonists in this murky business an opportunity for a redemptive and sacrificial finale, in which death seems to be the only real dispenser of justice, and the only way to restore one’s dignity. Cutter’s Way is undeniably as important and political a film as was Michael Cimino’s Heaven’s Gate, made the same year, also for United Artists. 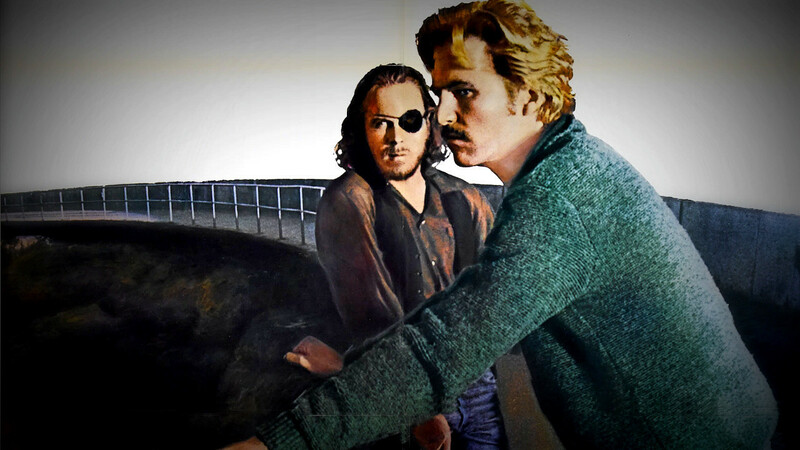 In fact, both films feature the excellent Jeff Bridges (two journeys into the heart of darkness, two romantic and devastated visions of American civilization) while John Heard (Cutter) and Lisa Eichhorn (Mo) give unforgettable performances, undoubtedly among the most under-rated in contemporary cinema. Eschewing any showiness, cleverly recreating the feel of a thriller in order to transcend it, Passer’s film also offers a sensitive account of a magnificent and tragic love triangle, whose protagonists are bound together in failure and sadness. Robert Mulligan was supposed to do the film with Dustin Hoffman, and then Mark Rydell with Richard Dreyfuss. Dreyfus chickened out, so United Artists stopped the film and Mark Rydell stepped out. Many American directors would not make a movie without a star in it. All Sydney Pollack films are with stars. Later, Richard Dreyfuss came back and the producer Paul Durian proposed me for the film. I liked the book and the script but I didn’t want Richard Dreyfuss. He was not right. So United Artists stopped the film again. The producer was desperate. Trying to convince me he asked me to go to New York where Dreyfuss was acting in a Shakespeare show and during the performance I noticed a wonderful actor. His name was John Heard. After the show I spend ten minutes with Richard Dreyfuss and three days with John Heard. The producer agreed because he was afraid to lose a third director. United Artists was making at that time what they considered “the biggest hit of all time”, Heaven’s Gate, and the star of the film was Jeff Bridges. If I get Jeff Bridges to play the other part, Bone, they accepted to hire John Heard for the part of Cutter. When I know who is going to be acting in a movie, I like to tailor the script for the actors. Not everybody can do everything. Intimate Lighting was made with non-professional actors, but actors are not so much different. It is better to respect their natural personality. I didn’t like the ending of the novel “Cutter and Bone” by Newton Thornburg, because it was to close to Easy Rider’s ending. With the screenwriter Jeffrey Alan Fiskin we only used half of the book. I had the tremendous luck to meet the director of the photography Jordan Cronenweth. I like to use the locations and the environment if possible, as another character. With these two miserable unhappy people, Cutter and Bone, in this beautiful surrounding, Santa Barbara, I was looking for a cinematographer able to capture that. I know the best cinematographers personally, but none of them had the eye and sensitivity I was looking for. The casting director showed me some TV movies and I was impressed by the work of Jordan. I was stunned when I met him because he was around 40 and he behaved like if he was 90 years old! The slowest person in the world! I learned that he was not able to do more than 6 set-ups a day, so I adjusted and did long shoots which I could intercut. It is always very difficult to control the color in a film. We couldn’t paint things like Antonioni. It was too expensive. Si we took out one color, blue. There is no blue in the film, which is difficult in California because of the sky. That forced me to put the camera above the eye level, camera is always looking a little down, and you have the sense there is some aesthetic order in the film. Jordan was a real artist, always surprised by everything, like a child. He never made a shot that needed some reshoot or correction. After Cutter’s Way, everybody wanted to work with him: Blade Runner by Ridley Scott, and Coppola did two movies with him, Peggy Sue Got Married and Gardens of Stone. There was one of the reasons why I agree to make the film because I felt I knew Cutter’s character very much. I have seen people after the war that came from concentration camps, they were violated in their bodies and their minds, and they were like contaminated by the violence. They became violent themselves. This is what I wanted to show in Cutter’s Way. That deals with paranoia and also the irrational behavior of violence coming from the victims and the oppressed people. Interviewed on March 30, 2012 in Fribourg, Switzerland. Thank you to Ivan Passer, Thierry Jobin, Artistic Director of the Fribourg Festival and Mark Peranson (Cinema Scope).